« Day 251 in Beijing: Christ Church of Melaka. 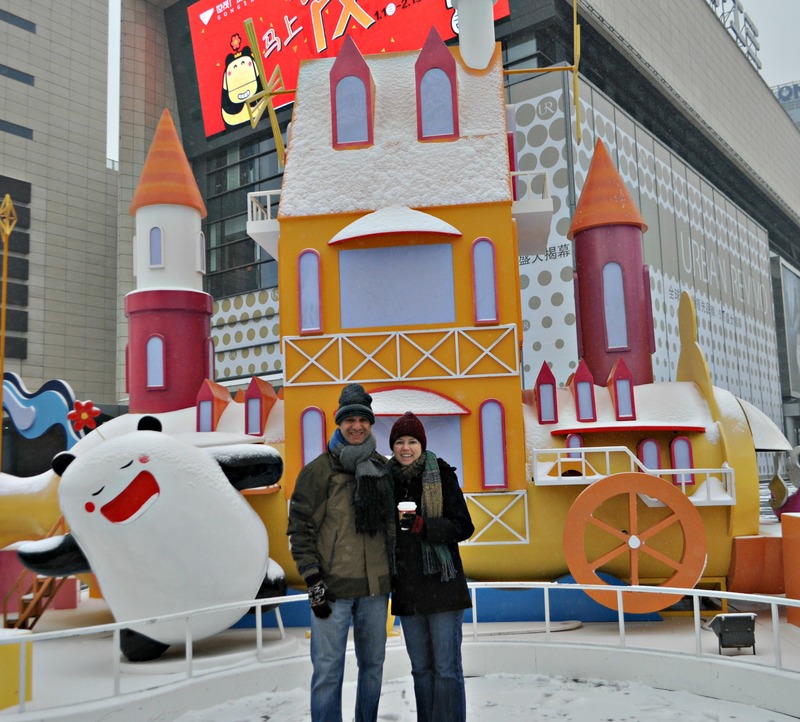 Day 252 in Beijing: Snow Day! Jill and me by our apartment complex. In contrast to my last post in Malaysia, we are back in Beijing and snow fell pretty much all day today. So far it is has been, according to almost everyone we know, one of the mildest winters in Beijing in many, many, many years. We have rarely had days where it is below freezing and much of the canals and lakes are only partially frozen. As much as I love a mild winter, I’d like a bit of snow since I’ve lived most my life in places where snow is unlikely to fall. This morning, I got my wish! Beijing is supposed to end up with about 1 inch of snow today and then it will go back to sunny and clear for the rest of the week. These are pictures from our apartment near downtown Sanlitun which is the most popular hangout area for expatriates living in Beijing and wanting to shop, eat and hang out with friends.